The British Horseracing Authority has given Wednesday's races the green light to take place. Horse racing will resume in Britain on Wednesday following a six-day shutdown caused by an outbreak of equine influenza. The British Horseracing Authority had placed more than 170 yards into lockdown in an attempt to halt the spread of the highly-contagious virus, with all meetings last Thursday cancelled the previous night. However, following a period of extensive testing and after seeking the advice of a series of veterinary experts, the ruling body gave the go-ahead for a resumption late on Monday - but with strict biosecurity controls in place. 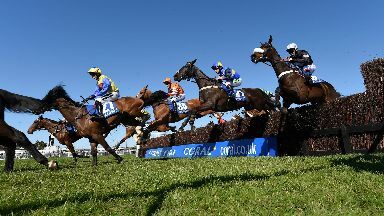 Scheduled fixtures at Musselburgh on Wednesday will therefore take place. The BHA's chief regulatory officer Brant Dunshea said: "Our approach since hearing about the first positive results last Wednesday has been based on accumulating as much information as we could as quickly as possible so we could properly understand the risks of this virulent strain of flu spreading to more horses.